Don't let anyone tell you that neon is only for special occasions, or that orange is a colour that’s best left for fruits and bathroom walls. These laces are about rebellion. They don’t have time to follow the rules. Neon orange laces say more about you than you realise. They say that you're a trendsetter, that your love for neon isn't restricted to Halloween discos and moonlight raves. They say that you're comfortable in your own shoes and not afraid to stand out from the crowd. They say that your feet will be the focus of the room the moment you walk in in the door, and that you're okay with that. That's a lot to say for just £3.99, don't you think? 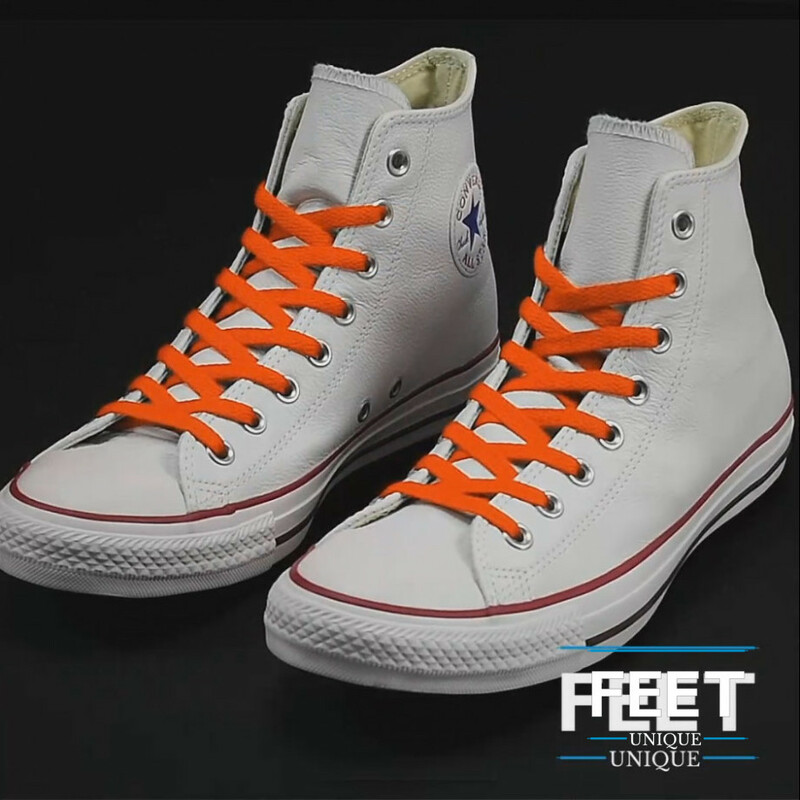 Normally at this point we’d recommend some colour combinations for your new neon orange laces. But wearers of neon and orange don’t listen to recommendations. Just get out there and strut.